Wednesday, March 6, begins Lent and it is Ash Wednesday. 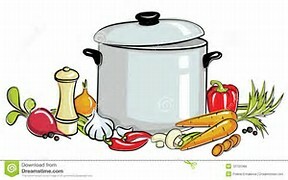 On this day the teachers and staff lovingly prepare and serve yummy soups at our annual Soup Night. As this is a day of fast and abstinence, we offer a very simple family soup night (a bowl of soup and roll and water) for our SSA families and SS parishioners. AND so… please plan to join us and bring your family between 5:30 and 7:00 (or when we run out) for our delicious home-made soups prepared by our WONDERFUL SSA STAFF. Goodwill donations are accepted to help those who are in need in our parish.